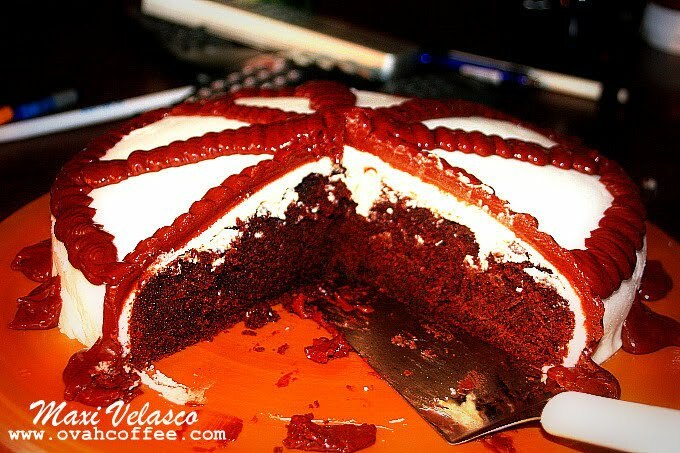 Ovah Coffee: Oh My Cakes! 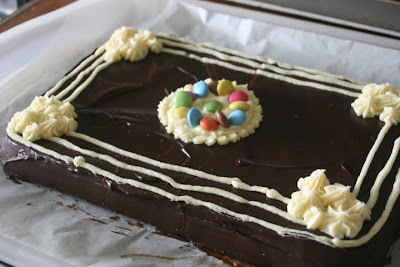 Created on June 29, 2010: Chocolate Moist Chocolate Cake - crumb-coated with buttercream, covered with white fondant and decorated with chocolate buttercream. Created on July 01, 2010: Yellow Cake - filled and crumb-coated with chocolate mousse, covered with marble-coloured fondant. The roses and other details are made of fondant. 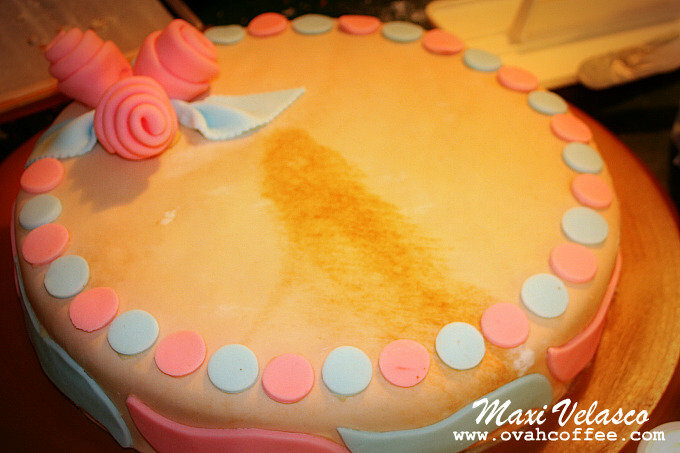 Created on July 03, 2010: Chocolate Moist Cake - filled with vanilla custard, crumb-coated with buttercream and covered in fondant. 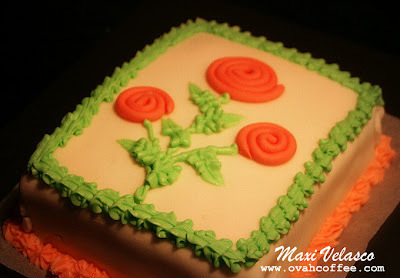 The flowers are made of fondant while the other details are buttercream. These are my yummylicious creations. I'll be posting some more of these yummy goodies later! mouthwatering!! ga laway na ko! howda jud nimo Maxi woi! Yummylicious!! Buti di ka tumataba mahilig ka pala mag bake. Jan ako nanaba sa kaka bake din at luto ng kung anu ano. hehehe! Thanks Trelms. Lami kaayo ui. Unta naa ka diri. Di naman ako tumaba. Mabuti nalang at hindi. Whew! Do not worry, madali lang naman siguro ikaw magpapayat eh.